At Prime Time Window Cleaning we know that as a home or business owner you’re probably too busy taking care of your property, employees, family, or customers to pressure wash your property yourself. In that case, taking a little time to find a quality pressure washing in Chicago business can pay off down the road. Hiring professionals who have the expertise and equipment to do the job efficiently, effectively and safely is extremely important. 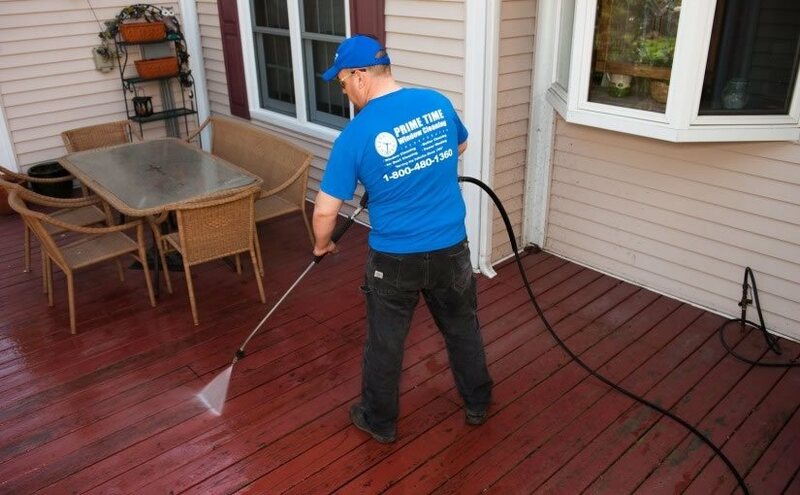 Here are a few things to keep in mind when you need a pressure washing in Chicago service for your business or home. You want to choose professionals with a solid reputation. 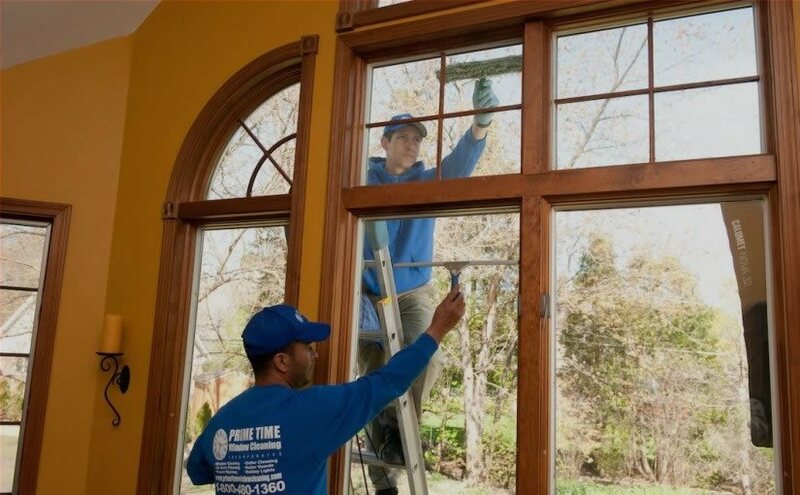 Since Prime Time Window Cleaning started in 1996 we’ve had over 40,000 satisfied customers in the Chicagoland area, and that list grows daily. We invite you to read some of the reviews written by our loyal customers. We know that you want high quality pressure washing service for both the look and care of your property. We also know that cost will factor into your choice. Keep in mind that the lowest quote is not necessarily the best one. For example, an inexperienced low bidder might tack on repair and replacement charges later or may not provide as quality of service. However, with Prime Time Window Cleaning you’ll never have that problem. We’ve been in the business since 1996, and the bid we give you will be the price you’ll pay when the work is done. No hidden fees. That’s our guarantee! Pressure washing is a highly skilled job requiring both experience and expertise. The improper use of the machinery or incorrect choice of equipment can easily lead to damage to your property and structures. If you hire a company with no real experience in pressure washing, you may wind up spending a lot more in fees caused by the actual contractor you hire! Rest assured, the technicians at Prime Time Window Washers are all highly trained and skilled, and they use only the highest grade chemicals and commercial equipment. We are dedicated to making sure our people and products are on par with the premier service our customers expect. For premier pressure washing in Chicago, call Prime Time Window Cleaning at 800-480-1360 and let Chicagoland’s finest pressure washing service go to work for you! Call today to schedule an appointment!